Have a hard to buy for family member? Looking for that perfect gift? 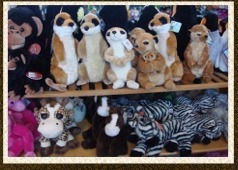 Check out the Peoria Zoo gift shop! New items are arriving all the time, from clothes to stuffed animals to home décor. 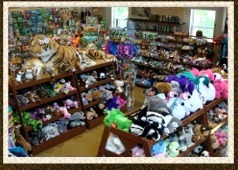 Located at the main entrance to the Zoo, the gift shop is open 10:00 a.m. to 5:00 p.m. The shop is closed on Thanksgiving, Christmas and New Year's Day. 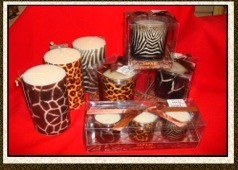 Come in and check out our wild and fun stuff. 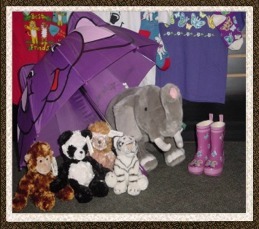 We have lots of new clothing items, jewelry, plush animals, candy and even a few surprises you wouldn't expect at the Zoo! 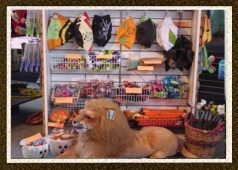 Peoria Zoo's Safari Gift Shops feature an array of fascinating gifts from around the world. We can help you pick out a gift for that someone special and at the same time you might find something for yourself. Yes, these elegant gifts are really made from elephant dung, making them mostly post-elephant waste. They're also fair trade—and they smell just fine! For that hard to please person on your list. Gift Cards are available at the Safari Gift Shop. 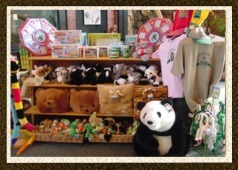 Gift Cards may be redeemed for Gift Shop merchandise, Admission or at concessions at the zoo. Gift cards purchased at the zoo may also be redeemed at other Peoria Park District facilities. Express your inner-animal with a variety of animal themed t-shirts and sweatshirts. 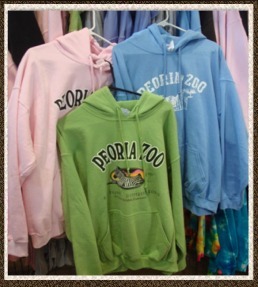 Peoria Zoo members are entitled to a 10% discount on all purchases. Be sure to show your member card to receive your discount. Whether you're looking for a BIG surprise for a toddler or little something for your boss, we've got a green gift for everyone on your list. Check out our environmentally-friendly and eco-sustainable offerings. Whatever you pick out, you can feel good knowing that you're helping to protect the environment while supporting the Peoria Zoo's wildlife conservation programs.